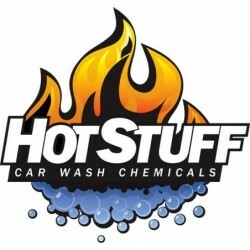 Let your community know you've switched to a better cleaning chemical with Hot Stuff promotional items such as banners, bay signage and more! If there's something you have in mind but isn't available on our website, contact customer support and we turn around most requests in just a couple of weeks. Let us help you promote your website. Distributors, contact your sales contact to get all of the promotional brochures, business cards, electronic marketing material, and signage needs for both your current and prospective customers.